When a summer ends, I guess we all feel just a little bit sad. However, I am also happy with the colder weather cause I get to reunited with my beloved blazers! I am sort of a blazer collector, I supposed. So yes, it's a mixed feelings came on this end of summer. Just a short and sweet post for you. I am currently in Singapore for a little getaway. Hopefully all of you are having a great day! you look really sweet as always. and the fact that the dress is thrifted just adds the plus point of the look. You often take a picture in this place, near the swimming pool? really cute dress! enjoy your gateway! Are you guys blessed with a plenty of thrift stores in Bandung? Can't literally wait to move there! 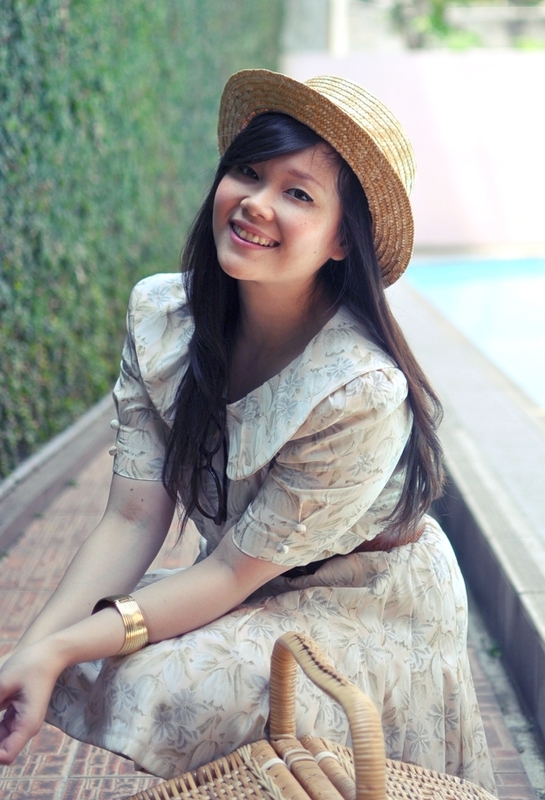 Really love your vintage dresses! Enjoy SG! you look very pretty in the dress along with such a cute pair of shoes.